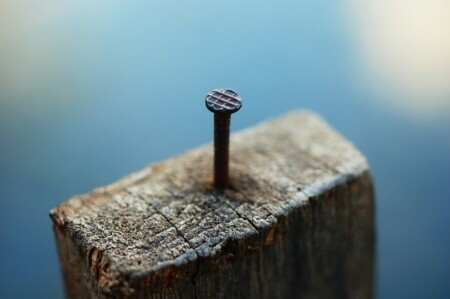 Nail is a pin-shaped, sharp object of hard metal or alloy used as a fastener. Nails are typically made of an alloy of steel, often be dipped or coated to prevent corrosion. Nails are typically driven into the workpiece by a hammer,a pneumatic nail gun or primer. The point of the nail is also sometimes bent over or clinched after driving to prevent loosening.